Scientists uncover the genetic script that drives pancreatic tumours, opening the door on new personalised treatments for a deadly disease. Researchers have uncovered the genetic machinery involved in triggering pancreatic cancer, opening the way for more targeted and effective individual treatments for a disease that is fast becoming one of the Western world’s biggest killers. Led by a team of Australian scientists, the International Cancer Genome Consortium has analysed the genetics of pancreatic cancers in over 450 patients using gene sequencing technology that for the first time has confirmed there are four distinct types of the cancer. 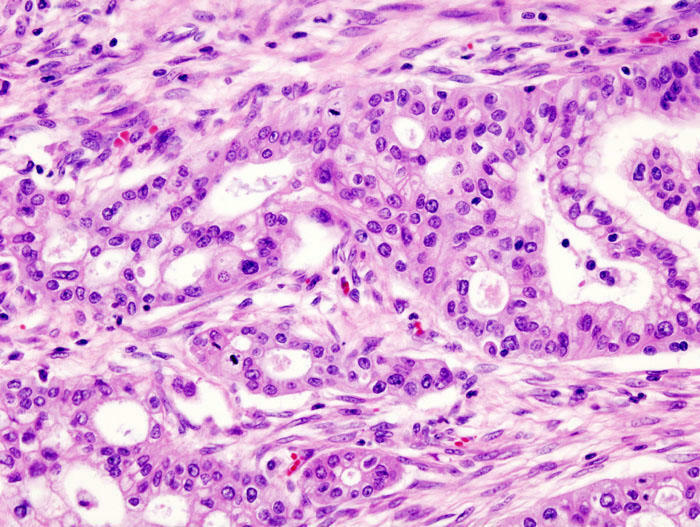 The consortium has also identified ten different trigger points in cellular processes that can lead to cancerous tumours, giving clinicians and drug developers new targets that can be suited to individual patients. It makes real the prospect of using massive supercomputing power to sequence a pancreatic cancer patient’s genome in a bid to identify the specific mutations driving the disease in an individual and then target therapies. Work at the ICGC has already identified the similar genomic processes driving the likes of breast and colon cancer and the major leukaemias. Professor Sean Grimmond explains why uncovering the genetic machinery of pancreatic cancer will lead to new personalised treatments and how cancer is a “disease of information” in which the primary weapon is big data and supercomputing. The genome is the entire chemical blueprint of an organism. It is held as DNA in all cells with a nucleus and scientists are increasingly focusing on sequencing, or reading, genomes to understand the genetic functioning and causes of disease. The human genome contains about three billion base chemical pairs pushing the science into the realm of big data, supercomputing and mathematics. 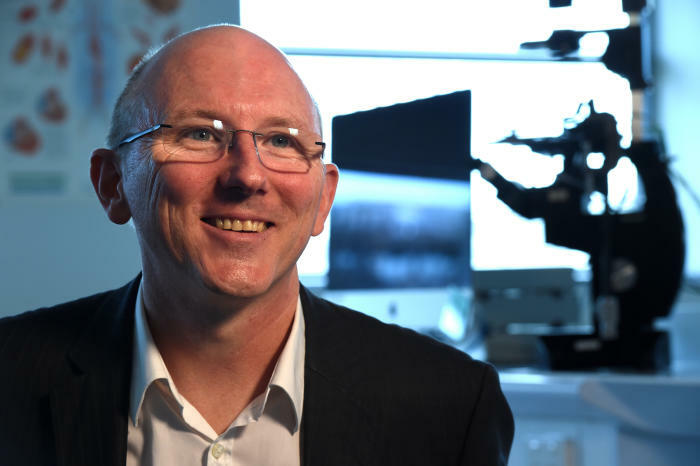 “We have uncovered the script for pancreatic cancer,” says Professor Sean Grimmond, Bertalli Chair in Cancer Medicine at the University of Melbourne’s Centre for Cancer Research. causes for these mutations building up in someone. He says the ten cell processes that can drive cancer in the pancreas are akin to “handbrakes” that ordinarily regulate cells and control accelerants that drive cell production. If one of the handbrakes is lost then production can go out of control and a tumour grows. In all they have identified 32 genes involved in these ten crucial processes that are potential pathways to pancreatic cancer. Professor Grimmond is the senior scientist on the research that has now been published in scientific journal Nature and has involved a massive seven-year project to sequence the genomes of 456 patients and track their progress and treatment. “For the first time we have worked with a large enough number of patients in a study to understand what are the major drivers for this cancer,” he said. Importantly, Professor Grimmond says there are already cancer drugs and other drugs in development that can target the “cluster of machinery” in cells where pancreatic cancer can start. For example, one of the strains of pancreatic cancer the scientists have discovered is similar to bladder and lung cancer where treatments are already being targeted. “It means we can start to draw on that expertise,” he says. Professor Grimmond says using gene sequencing on individual patients to establish therapeutic targets could be in place at the new Victorian Comprehensive Cancer Centre in Melbourne as early as next year. The VCCC brings together the University of Melbourne with major hospitals and research institutes. Such individualised medicine using genomics is already underway in Canada and Germany. Previous research published in US journal Cancer Research warns that by 2030 pancreatic cancer will become the Western world’s second biggest cause of cancer death behind lung cancer, driven by rising obesity and diabetes rates. The pancreas is a gland behind the stomach that digests food and produces insulin to balance blood sugar levels. 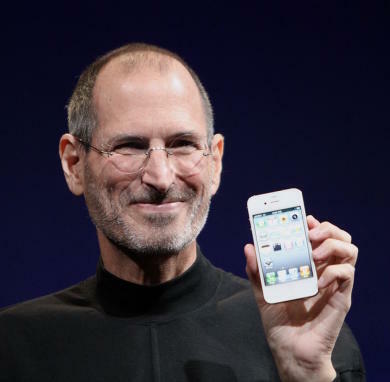 The disease hit the headlines when Apple co-founder Steve Jobs in 2004 revealed he had undergone surgery after being diagnosed with a pancreatic cancer. He died in 2011. Pancreatic cancer is already the ninth most common cancer among Australian men and the tenth most common among women. It has a high death rate with survival usually measured in months. Only 5 per cent of sufferers are still alive within five years. In 2012 over 2,500 people in Australia died from the disease, accounting for 5 per cent of all cancer deaths. “This disease at the moment is effectively a death sentence,” says Professor Grimmond. The research has been carried out as part of the ICGC that since 2008-09 has been racing to establish the genetic make up over 25,000 tumours and 50 types of cancer and make the data available for researchers worldwide. Australia’s National Health and Medical Research Council has backed the project with $27.5 million that remains its biggest-ever single grant. The pancreatic cancer research has been led by University of Queensland’s Institute for Molecular Bioscience, the Garvan Institute of Medical Research in Sydney and the University of New South Wales. Professor Grimmond, who is on the ICGC’s Scientific Steering Committee, led the research at UQ, where he was director of the Queensland Centre for Medical Genomics, and while he was chair of medical genomics at the University of Glasgow. He joined the University of Melbourne this year. He says the concentration of expertise at the VCCC is unprecedented in Australia, bringing together clinical teams with experts in cancer biology, genetics and immunology. “We can now start to try to set up the experimental medicine, and the best way to do that is here at the VCCC,” he says. The $1 billion VCCC facility at Parkville is due for completion in June. It will bring together the University of Melbourne, the Peter MacCallum Cancer Centre, the Royal Melbourne Hospital, the Walter and Eliza Hall Institute, the Royal Women’s Hospital, the Royal Children’s Hospital, Western Health, St Vincent’s Hospital Melbourne, Austin Health and the Murdoch Childrens Research Institute. For pancreatic cancer patients the new genomic-led experimental medicines can’t come quickly enough. Grace King, 54, is a direct beneficiary of the new emerging genomic medicine. 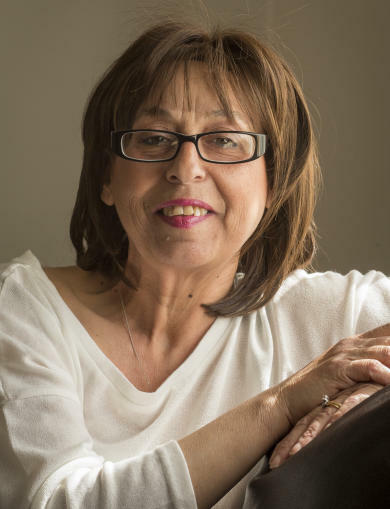 Diagnosed with pancreatic cancer in September 2014, Mrs King found that traditional chemotherapy wasn’t working. It is vital that we are able to do this sort of genetic testing. Dr Jayesh Desai, medical oncologist at the Royal Melbourne Hospital and Peter MacCallum Cancer Centre, says the advances in genomics means the opportunity is now becoming real for using personalised treatments to target cancer. He says the key challenge is to integrate the scientific insights from studies such as these into clinical care. “By understanding the molecular drivers of pancreatic cancer, we can understand the biological diversity of what has previously been called one disease, and then apply this information in an individual patient’s cancer towards a therapy that specifically targets that,” Dr Desai says. The power of gene sequencing and analysis in battling pancreatic cancer was highlighted early in the research when the researchers tracked the progress of 100 patients who were terminally ill and entering palliative care. Of these, two went into remission. By using gene sequencing and matching it to the drugs given to the patients, the researchers were able to discover that a drug compound previously thought to be ineffective had in fact successfully targeted the source of mutations in these two patients. Professor Grimmond says current clinical trials on new drugs are handicapped because they are operating without knowing the full genetic make-up of patients. That means it is possible clinicians are dismissing drug compounds without knowing that they might work for some patients but not others. By using gene sequencing scientists are better able to observe where the drugs may be working or not. “If you don’t have the complete story and you are working with small numbers of patients, if the drug doesn’t appear to work you could actually write off a therapy because you didn’t have the full picture when you started,” he says. The genomic approach to treating cancer has been made possible by the massive increases in efficient computing power that has dramatically brought down the cost of genome sequencing. 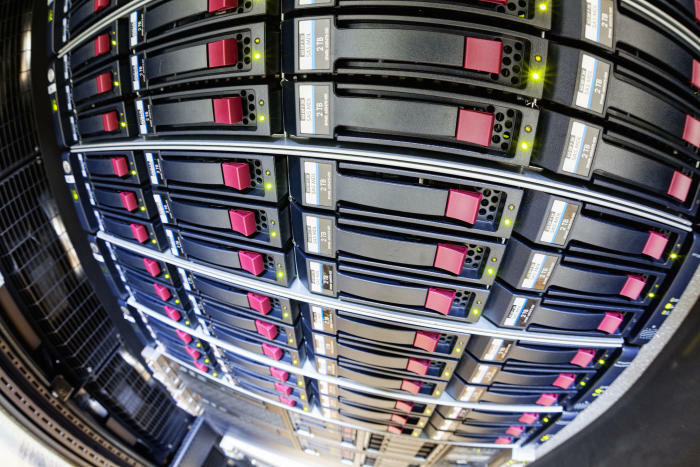 The supercomputer, now on the frontline of battling cancer. Picture: Shutterstock. The three billion individual building blocks of human DNA were first sequenced in 2003 after 12 years of work at a cost of around US$2.7 billion. Today Professor Grimmond says we can sequence someone’s gene within a week at a cost of $3,000. “The technology for sequencing has just exploded and the cost of assays has plummeted,” he says. That supercomputing has become our newest weapon in the battle against cancer should come as no surprise since at its most basic level cancer is like a computer malfunction where information files — genes - become corrupted by rogue codes or processes. “Cancer is like an information disease. You are getting corrupted information either through genetics or the environment,” Professor Grimmond says. He says the computer analogy for describing the way information is processed in our DNA has got stronger and stronger the more scientists have delved into our genetic make-up. And cancer is what happens when the wrong files are deleted and mutations grow. “If a group of people sat down with their laptops and played Russian roulette where they randomly started deleting files off each other’s hard drive, they could be there for an hour before anything happened. But then the laptop screen would go black or the blue screen of death would appear, and no matter what you do the computer is off in its own little world – that is cancer. When it comes to cancer it seems it is all about short-circuiting the control-alt-delete endgame.